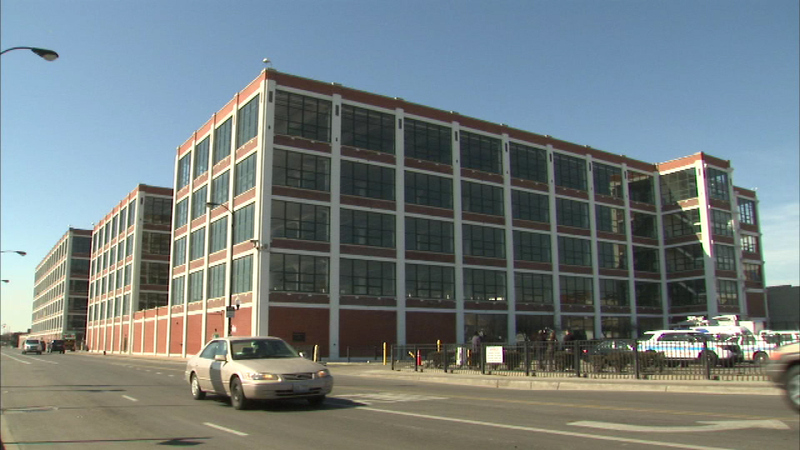 "The Fields" is a redeveloped space at the former Marshall Field's warehouse facility at Diversey and Pulaski. CHICAGO (WLS) -- More than 1,000 new jobs are expected to come to Chicago's Avondale and Logan Square neighborhoods thanks to new businesses coming to the area. On Thursday, Mayor Rahm Emanuel joined Alderman Ray Suarez in announcing the latest tenant of the new development called "The Fields", a redeveloped space at the former Marshall Field's warehouse facility at Diversey and Pulaski. A 70,000 square foot grocery store called Cermak Fresh Market is set to open later this year.